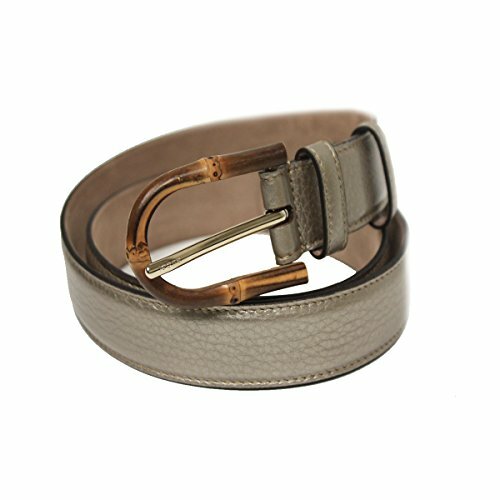 Gucci Bamboo Buckle Leather Belt 322954 - Pebbled leather material, upper. Bamboo buckle detail. Size Options: 32in/80cm, 34in/85cm, 36in/90cm, 38in/95cm Authenticity guaranteed. Includes authenticity cards, controllato cards, and Gucci dust-bag. Authenticity guaranteed. Includes authenticity cards, controllato cards, and Gucci dust-bag. If you have any questions about this product by Gucci, contact us by completing and submitting the form below. If you are looking for a specif part number, please include it with your message.